We take on the load so you don’t have to. 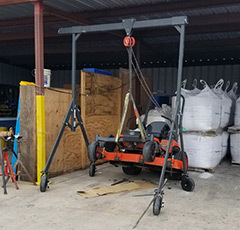 We understand and know the importance of onsite injury prevention and that’s why we are committed to making quality gantry cranes with adjustable features to fit your needs. All our Gantries meet OSHA and ASME safety standards. 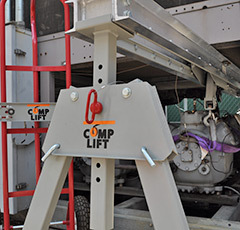 COMPLIFT manufactures unique lifting solutions that are lightweight and portable. There is nothing like COMPLIFT on the market. 600lb lifting capacity. Adjustable height / length to fit your work space. Light-weight and portable frame. 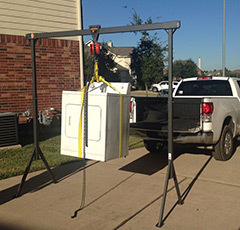 1,000lb lifting capacity. Adjustable height and length to fit into your work space. Wheel kit is optional. 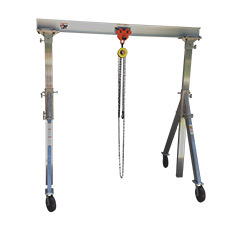 1 ton lifting capacity. Ideal for outdoor use or in wet environments. Height adjustable from 68″-98″.